Smallpox vials found unguarded at NIH campus in Bethesda, Md. 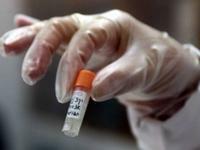 Earlier this month workers clearing out a Food and Drug Administration(FDA) branch office at the National Institutes of Health(NIH) campus in Bethesda, Maryland, discovered vials containing smallpox, an eradicated agent feared for its bioweapons potential. The last smallpox samples in existence were thought to be held at tightly guarded facilities in Atlanta and the State Research Center of Virology and Biotechnologyin Novosibirsk, Russia. The vials appear to date from the 1950s. The U.S. Centers for Disease Control and Prevention(CDC) has advised some of its employees to stop taking antibiotics meant to fight a possible anthrax infection after preliminary tests suggest that it is “highly unlikely” those employees were exposed to live anthrax following an incident in June. Michael Farrell, head of the CDC bioterror lab, has been reassigned. The Biological Security program of Canada’s Global Partnership Program(GPP) has officially transferred a new biological containment laboratory to the Caribbean Public Health Agency(CARPHA). The Biosafety Level 3 (BSL-3) modular laboratory facility, a first in the Caribbean and located in Port of Spain, Trinidad and Tobago, improves diagnostic capabilities for human and veterinary pathogens with high epidemic potential. A new facility at Texas A&M University is one of three new biodefense centers created by the U.S. Department of Health and Human Services (HHS) to revolutionize the way fatal viruses are countered in the event of an emergency. The $286-million lab features mobile clean rooms that can be detached and moved to form different production or testing systems as the need arises. Not everyone agrees that the design and capabilities of the new center would offer the best response to biothreats. Boston has long been seen as “America’s Medical Capital,” but that may soon change if the city passes a measure to ban Level 4 Biolab disease research at Boston University’s National Emerging Infectious Diseases Laboratory – research which includes deadly and untreatable strains that could decimate an exposed urban population in the event of an accident or terrorist activity. According to a report that was released by the Government Accountability Office (GAO) late last month, the United States is at a high risk for accidents at laboratories which conduct research on potential bioterror germs such as anthrax because federal officials have failed to develop national standards for lab design, construction, and operation. Laboratories at the Centers for Disease Control Prevention (CDC) have been cited in government audits for failing to secure bioterror agents such as anthrax and plague. The audits also found that employees handling these agents have not been trained properly to do so.